Nothing quite says "America" like a 70 ton tank thundering across the desert at 45 mph with a 5in main gun. 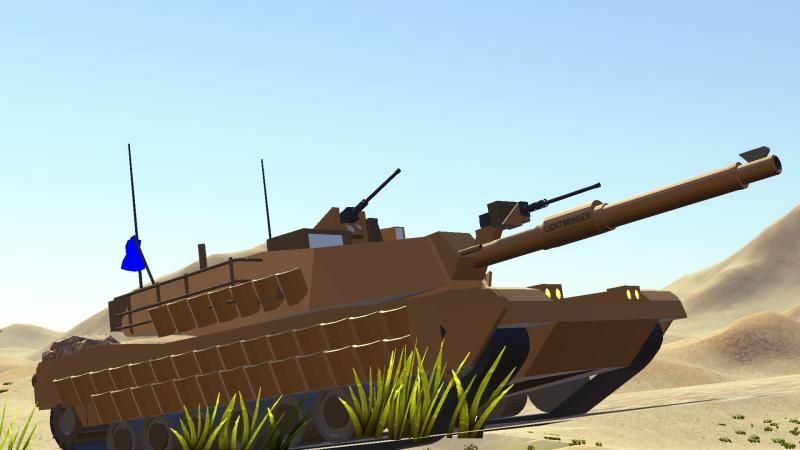 Ladies and gentlemen, the M1 Abrams Tank. Compared to the vanilla tank, there is no comparison. The M1 had better armor, a more powerful maingun, more weapons, more horsepower, and higher speeds. 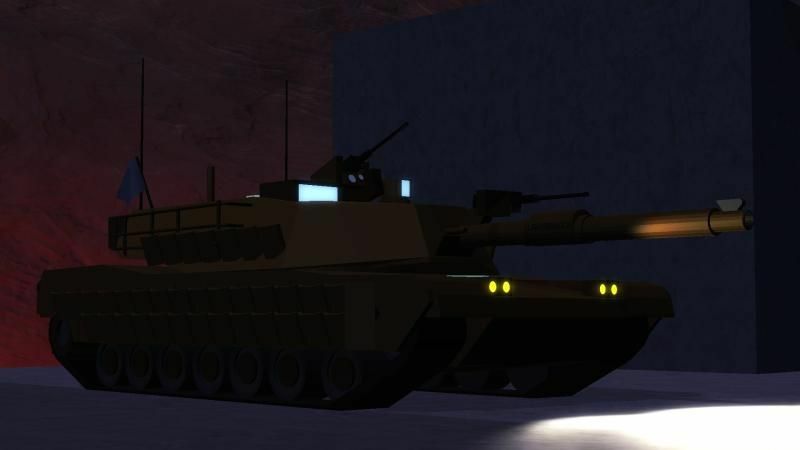 This mod adds four variants of the M1 Abrams Main Battle Tank to the game, M1A3 TUSK and M1A1 with headlight versions for both. This high explosive, anti-tank round is a solid counterpart to the APFSDS. It used a shape charge rather than a DU penetrator, giving it slightly less effectiveness verses armor, but much higher splash damage. It also is slightly slower and less accurate. It is however highly effective against groups of infantry due to its blast radius. Reloads in about 3 seconds and is available on the M1A3. Effectively turning your main gun into a giant shotgun, this shell fires thousands of tungsten balls at over 1400 m/s. 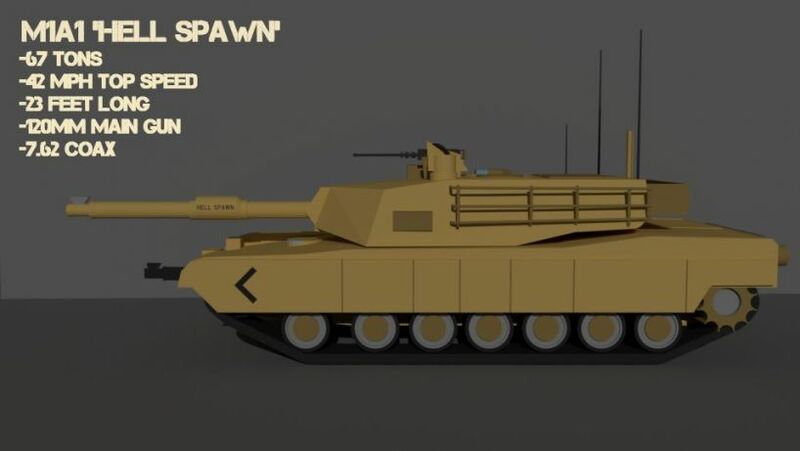 It lacks the ability to damage heavily armored targets, but is devestating against infantry and light vehicles with in 75m. It can also be used against low flying aircraft to great effect. Reloads in about 3 seconds and is available on the M1A3. A coaxial 7.62mm machinegun, this weapon is intended for dealing with hostile infantry. As it is mounted to a 70 ton tank it is very stable, able to hit targets accurately out to 200m. It feeds from 200 round belts and fires at 750 RPM. Reloads in about 3 seconds and is available on the M1A3 and M1A1. An augmentation to the TUSK model, this .50 caliber machinegun is very effective against infantry and light vehicles. It has a lower rate of fire and capacity compared to the M240C, but deals far more damage and has higher muzzle velocity. 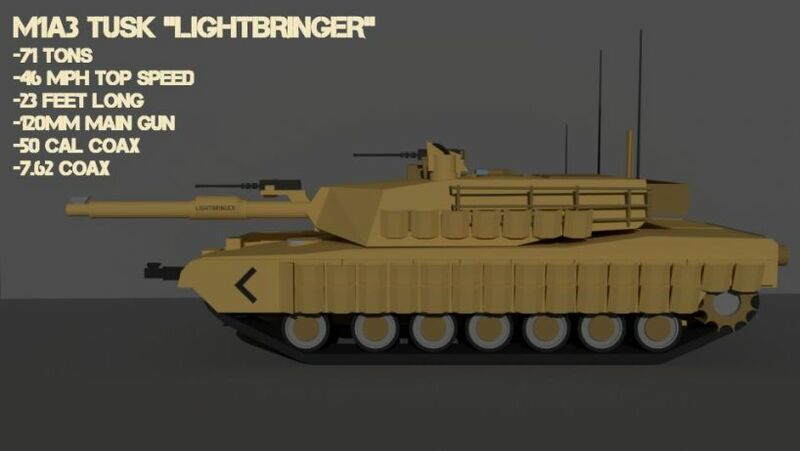 Additionally, it can damage light vehicles and aircraft, making it an effecive alternative to the single shot of the main gun. Reloads in about 3 seconds and is available on the M1A3.